It`s optimism in the stock market again. People belive the lawmakers will solve the dept-ceiling problems. China rebound and BDI is increasing. Everything looks great. That`s in the long term. Right now the futures is down about 1 percent. What an end of the week. Everything was green. Dow Jones was up 0,51 percent, to 15,072,60. 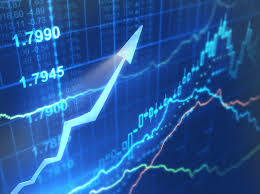 The S&P 500 climbed 0,71 percent to 1,690,50, and Nasdaq rose up 0,89 percent to 3,807,75. 5,2 billion shares canged hands on U.S excanges, and that is 9,6 percent below the three-month average. People belive that the lawmakers will reach a deal to end the budget impasse. That`s why we see the excanges is green now. The investors are very optimistic, and 6,4 days is the average of the days the spend to solve the problems in capitol hill. S&P 500 is up 19 percent so far this year and from it`s 2009 low, it is up amazingly 155 percent. VIX dropped 5,3 percent today and are now down to 16,74 percent. The equity volatility gauge has fallen 7,1 percent so far this year. China is back too, and now it seems to be a good time to invest in South East Asia. The industrial profits rose 24,2 percent in August this year. In addition; I see Baltic Dry Index has broken it`s 200 day moving average. That is good news for the economy. Gold is still a little bit above 1300, and gold have not reacted on the shutdown earlier since 1976. The duration shutdwon has varied from one to twentyone days. Two years ago during the dept- ceiling, the gold rose from $1500 in july to $1800 in august 2011. A nice safe-heaven rally. There`s no news to watch out for today or tomorrow. What I am looking for this week is what`s happening in capitol hill. It`s up to the republicans. People expect to see a solution and that`s why they are so optimistic. This will be an exciting week.